I never posted these pictures from this fall. 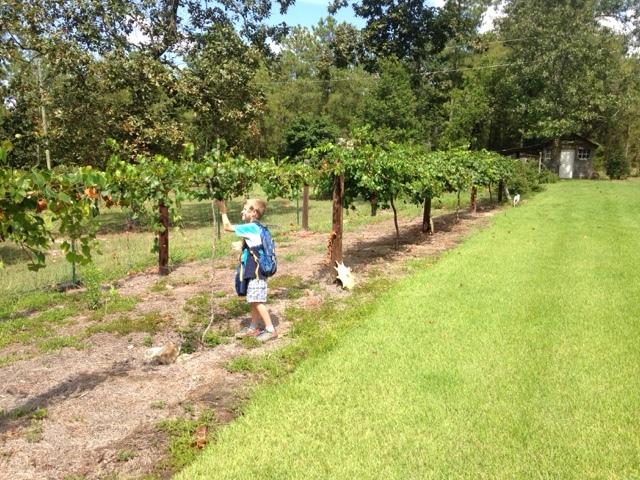 Here's Levi picking a few muscadines after getting off the bus. This winter had been a season of rest for us. Deer ate most of the kale so we didn't harvest much. We had a wet fall and winter (including the nationally covered flood) and then dry spells. It has been good to take a break...our Sabbath season. 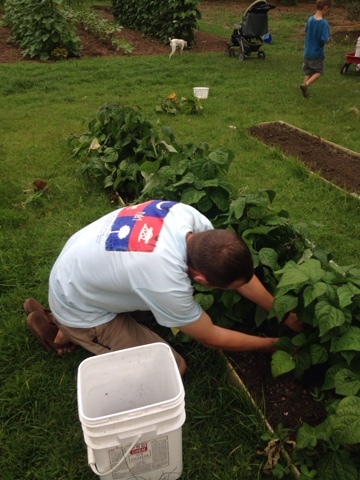 But now the warm weather is returning and we're deciding how much we want to tackle this spring and summer. The divided beds Ashley created didn't hold up as well as we hoped. The thin Hardieplank wasn't sturdy enough (especially when I ran into it a few times on the riding mower) so we've pulled all that out. 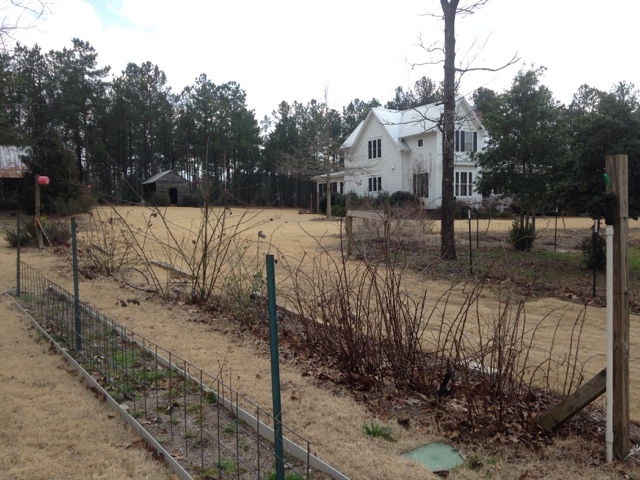 Ashley plans to install metal landscape edging soon. 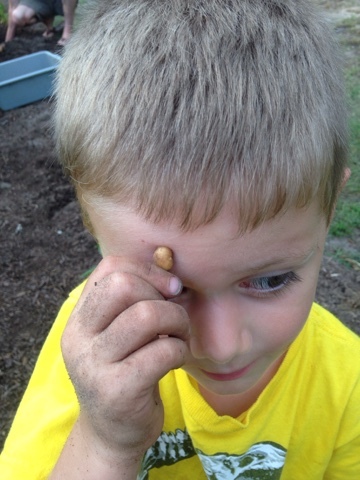 Ashley did plant peas for a spring harvest. Those are coming up nicely. 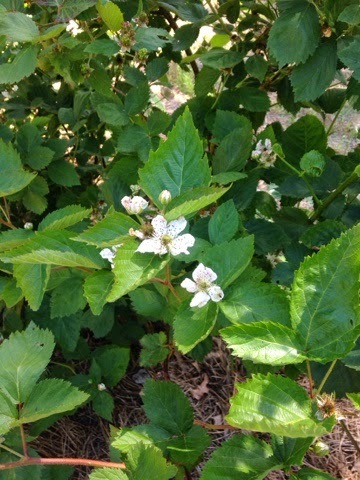 Once they do, we're probably going to leave this portion of the garden unplanted for the summer. 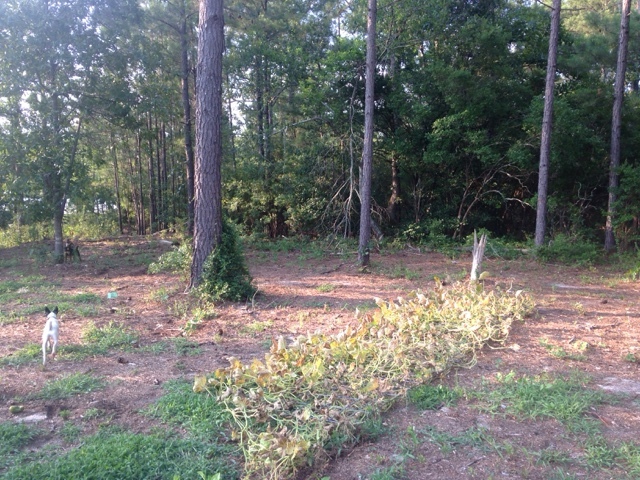 Our blackberry vines' supports also have to be redone. Ashley has a new idea for that. 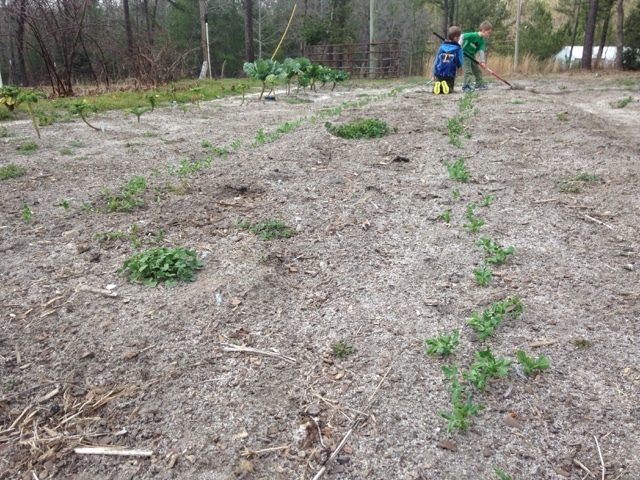 Here are the peas growing...and two of our growing boys, who are in 2nd grade and Kindergarten this year. 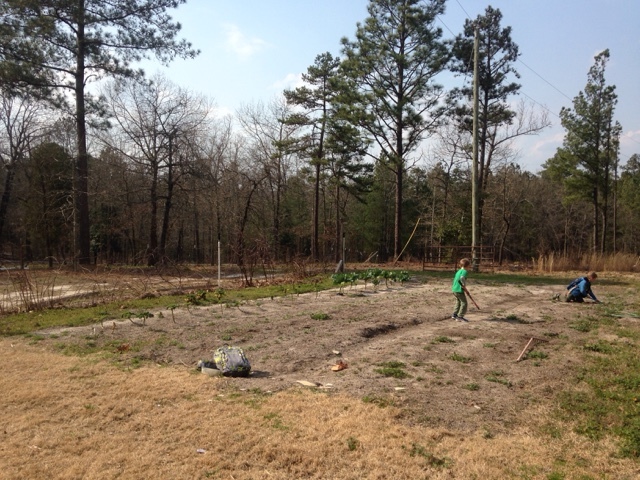 The garden has been a great play space for the boys this winter. 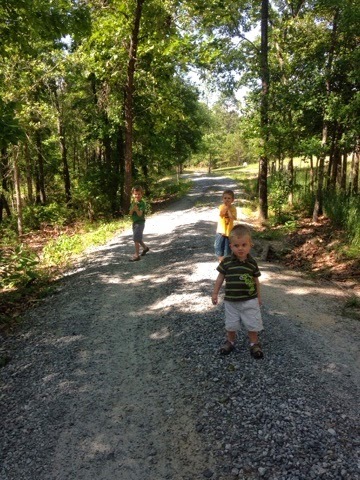 Levi has created a "farm road" for the wagon, where he gives 3 year-old Tyler a ride. 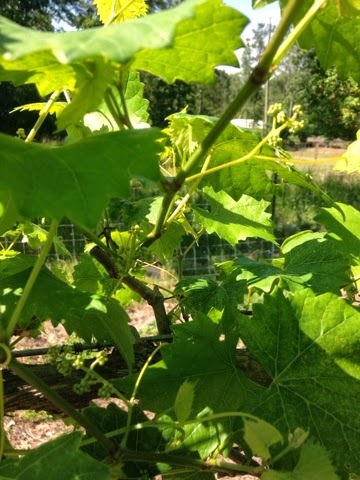 As far as the rest of the property- I've pruned most of the grapevines; we have a new (stray) dog who has happily made his home at Okra Hill; and our house is getting ready to be five years old. 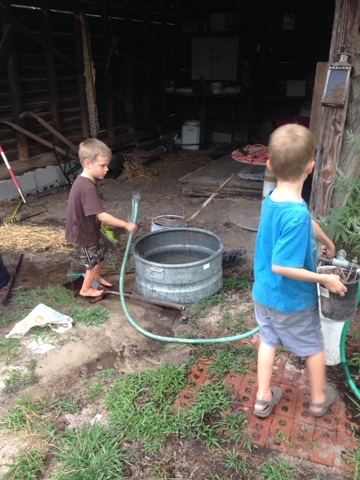 The inside walls and hardwoods are beat up from raising three boys; the exterior desperately needs to be scrubbed; but it has definitely become our home. It's been a hot July, with too many days having temps around 100. 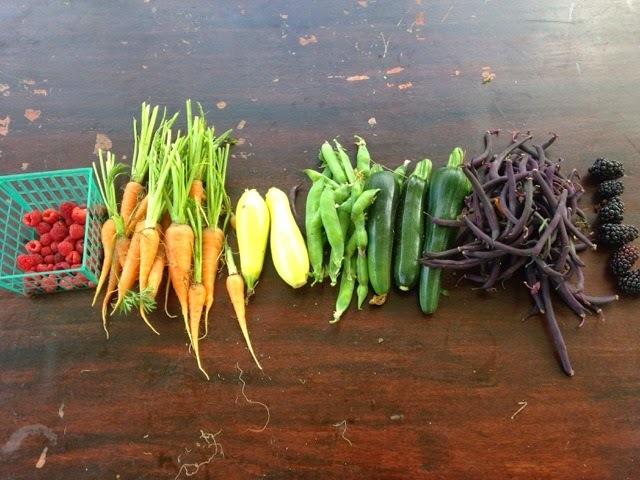 Even with irrigation, our garden has a hard time in the heat. 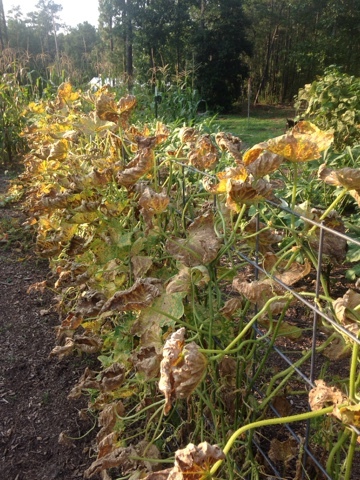 Our cucumber vines are done. 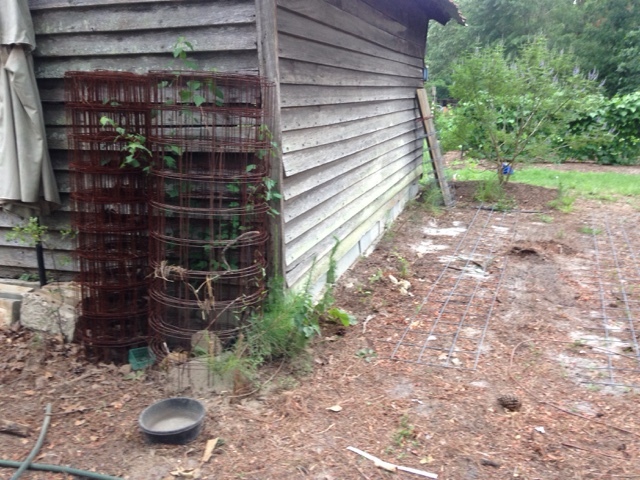 Ashley and I removed the hog panels that we use to train the vines. 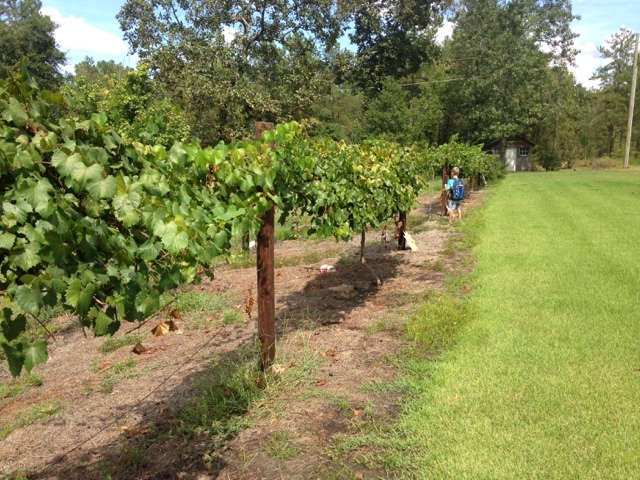 We'll let the vines dry up and then store the panels for another crop. 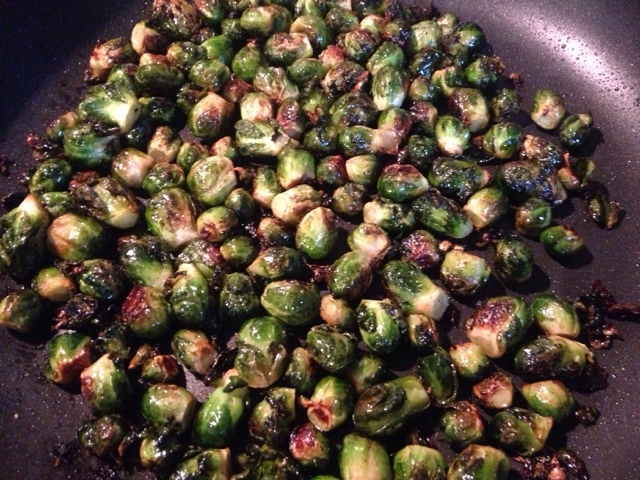 We tried growing Brussel sprouts but it was too hot. 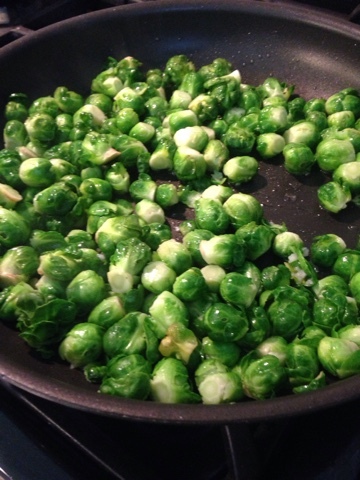 I sautéed up our small batch for supper one night. Summer isn't summer without peaches for our family. 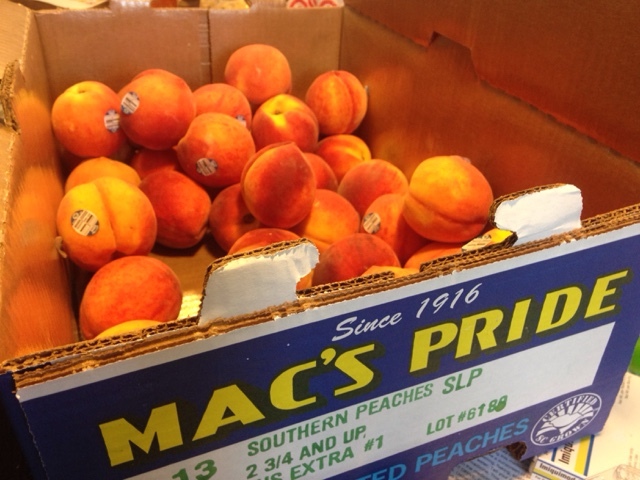 Peach farming is big business for Ashley's cousins and we think these are the best peaches you can buy. I love to stand and smell their deliciousness. And marvel at how beautiful they are. 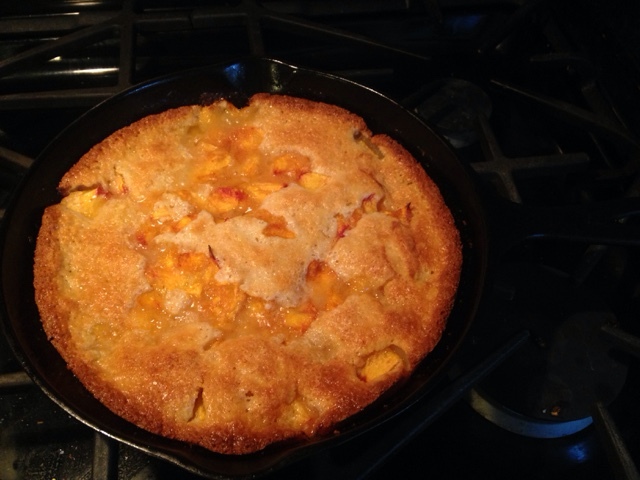 My favorite use of peaches is for a cast iron skillet cobbler. 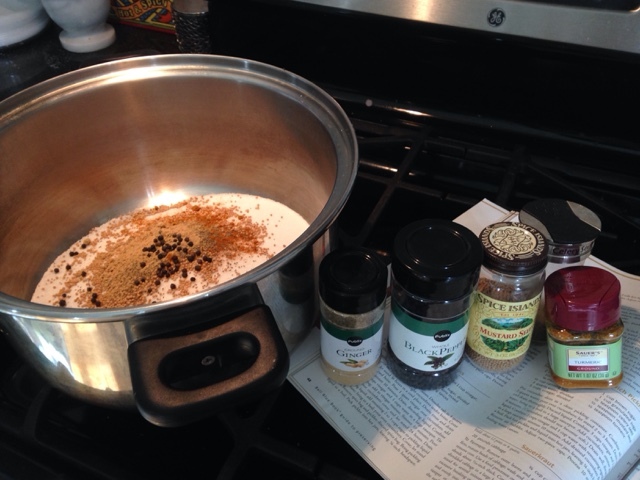 I'm not sure if I have shared this recipe or not- but in case I haven't, here it is! Preheat oven to 375. Place butter in 8-10 inch cast iron skillet in oven to melt. Mix flour, sugar and milk in bowl. Pour flour mixture into melted butter but do not stir. Top with peaches (you want an even layer and not so dense because the crust needs room to bake through). Do not mix. Place in oven and bake 45 minutes or until golden brown. When school finished last week, we took a vacation to the beach. We had a great time playing in the sand and ocean and having family time Wednesday through Sunday. 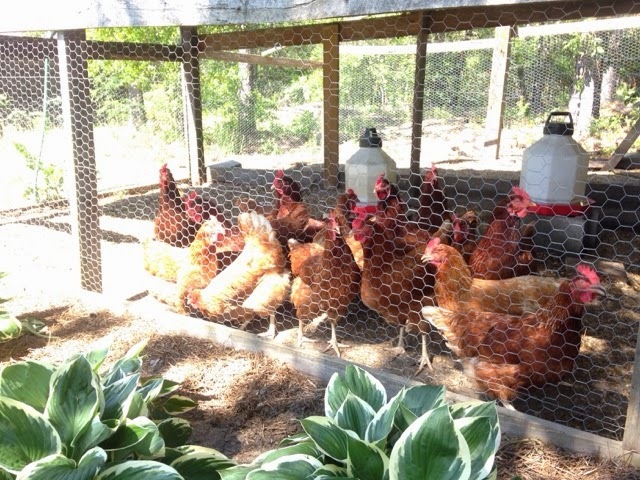 When we're gone for more than one night, I always make sure to have folks come over check our animals and garden. I'm thankful we have good family and friends who will do this for us. 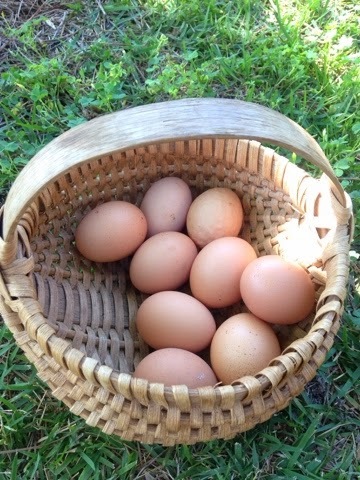 As payment, I always tell everyone to pick anything they want from the garden and keep the eggs they gathered. 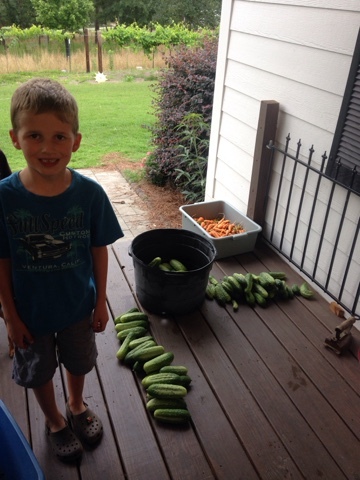 I'm assuming those who came picked and gathered...but when we came home, we had a TON to gather...as in buckets and buckets of cucumbers, carrots and green beans. 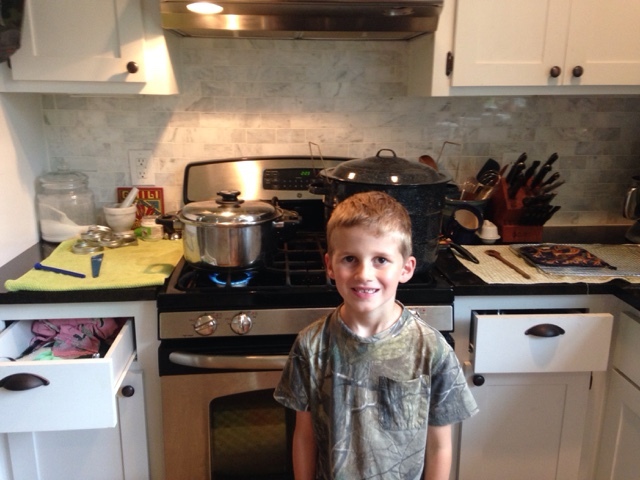 Levi (who turned 7! 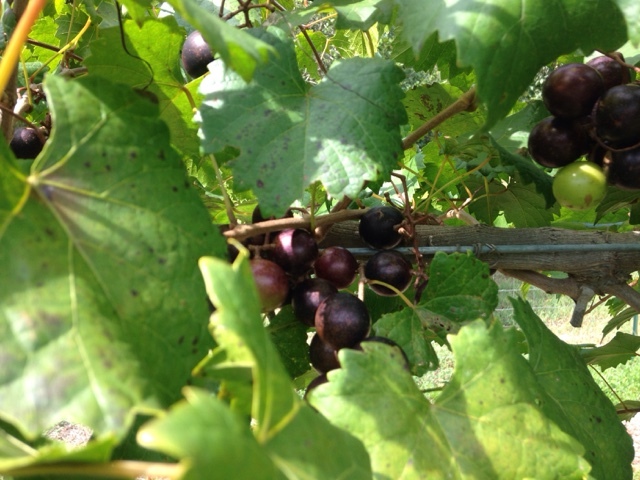 today) is a great harvester and is so helpful in the garden. 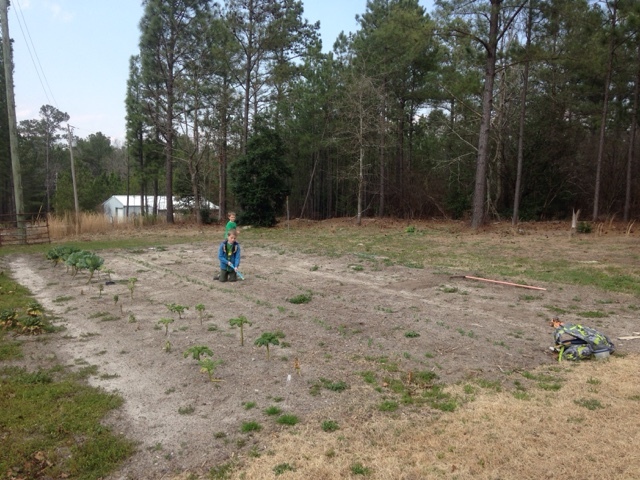 Ashley and I have made a point to not "make" our boys garden with us, instead seeing it as our hobby that we want them to enjoy along side of us. I hope they'll grow up to have gardens or farms of their own. 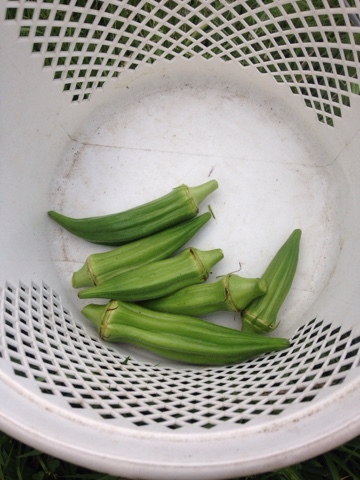 I was most excited about our first few pods of okra. Yay!!! Remember the stroller I've been using, once for hauling a baby and then kale? Now it's making a great produce hauler. Who needs a fancy garden cart when you have a leftover stroller?! Seven years old and still going strong! 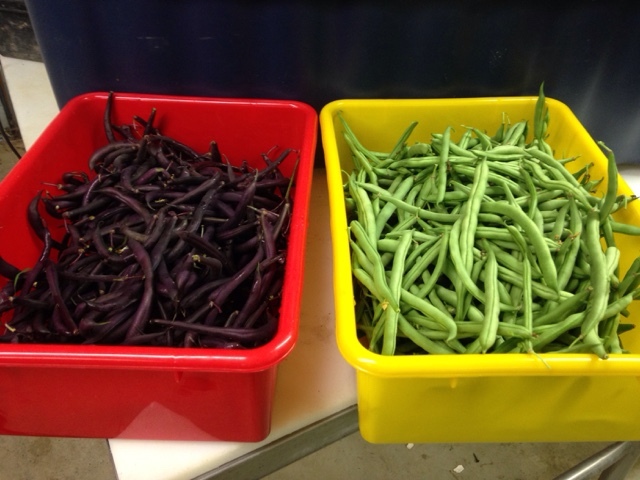 Our purple green beans are doing great. 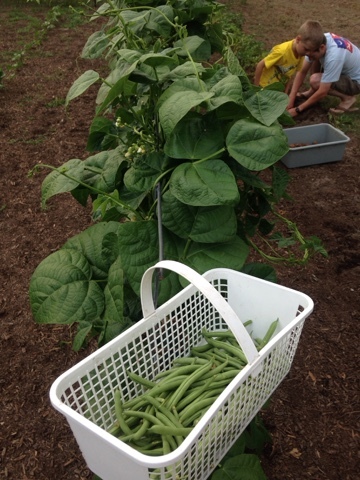 We're loving our stringless green beans this year. Loving them. 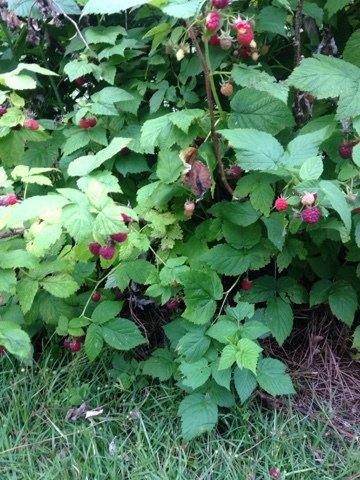 And raspberries...oh my! These bushes won't stop. They're delicious! 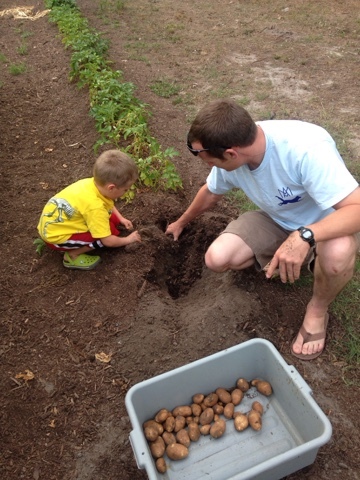 Ashley and Levi went ahead and dug the potatoes because our green beans are blocking the irrigation from hitting them (and they were starting to die, especially in this hot South Carolina heat). We got a nice bunch! This is Levi and Mason's science lab. Of course you already knew that, right?! Purple beans. Green beans. We all scream for yummy beans! We have an extra fridge down in our metal building below the garden. 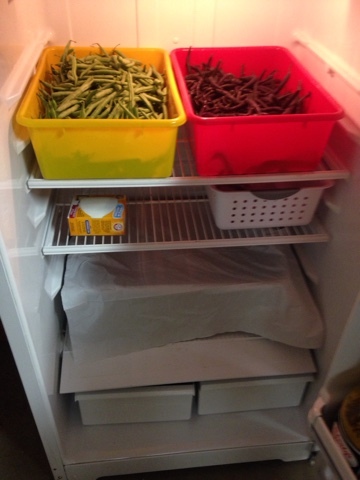 It's been great to stick beans, cucumbers and carrots in there until I'm ready to use them. 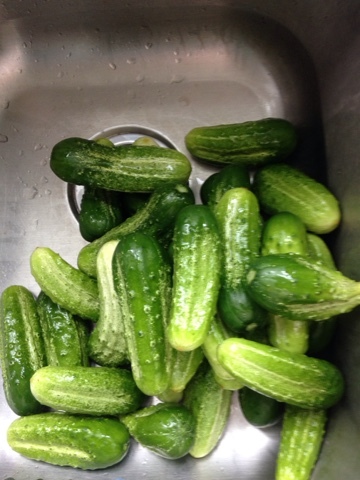 Although I'm getting a ton of cucumbers this year, I'm not sure how many pickles I'm going to can. We're eating a lot just soaked in vinegar and giving away others. 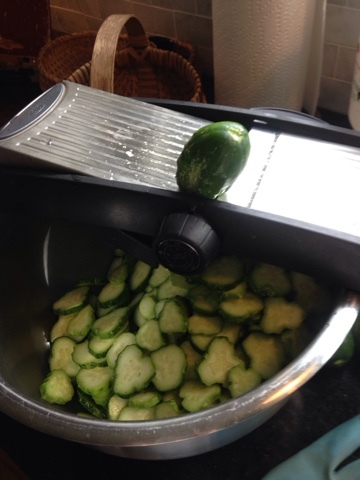 I'm amazed out cucumber vines have already produced enough to make pickles (and for raw eating, too). 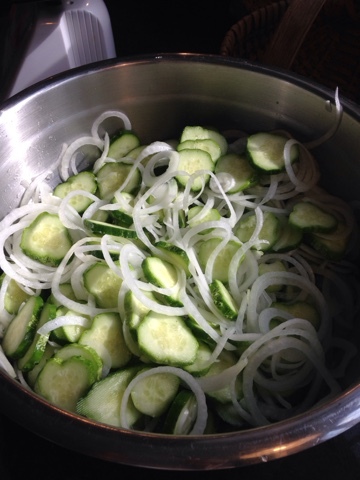 Last year's garden didn't produce enough cucumbers for pickling so I'm doubly excited this time. 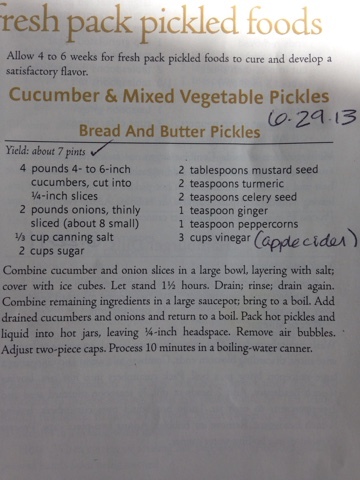 I decided to make bread-n-butter pickles first because we eat a lot of these on BBQ sandwiches. 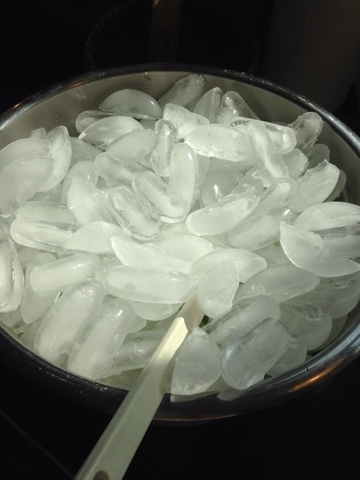 I use the recipe from my Blue Book. 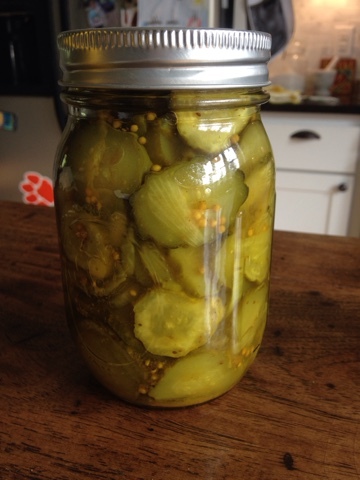 Here's one of the last jars from 2013. Covered everything in ice and let it sit for a while. 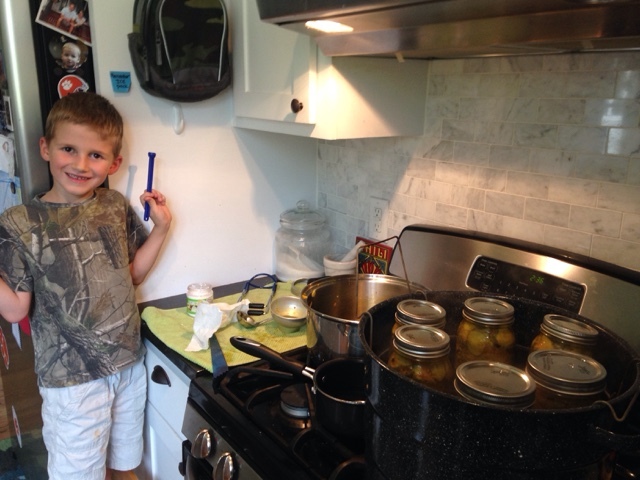 Levi did a great job adding in the crisper agent and helping place the lids on the jars. And I'd say we were successful! We're giving jars to Levi's teachers for the last day of school. Home grown love! 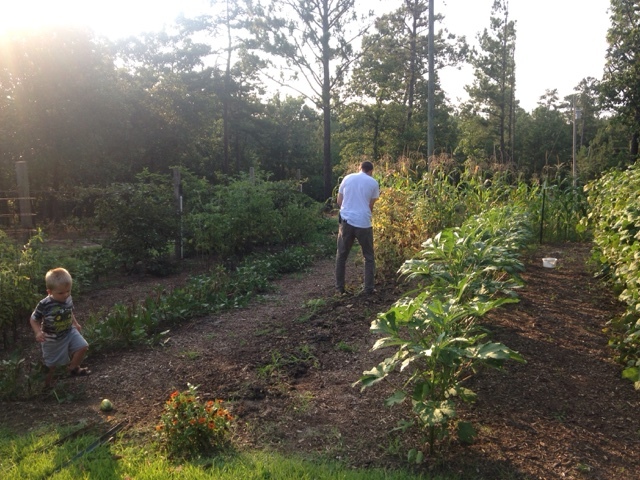 Memorial Day evening- another harvest with our first green beans and potatoes. 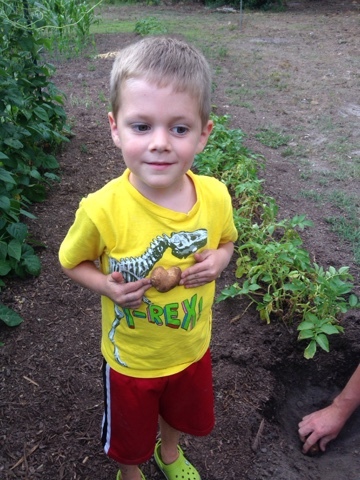 Mason was excited about this tiny potato. 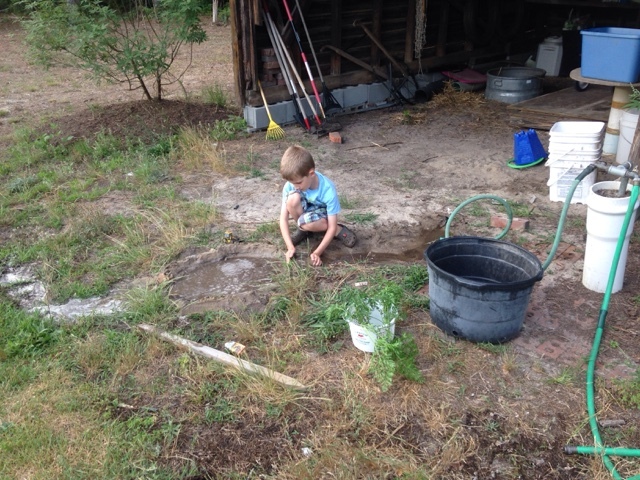 Levi continues to work on his garden "irrigation" project. Another exciting potato find- a heart potato! 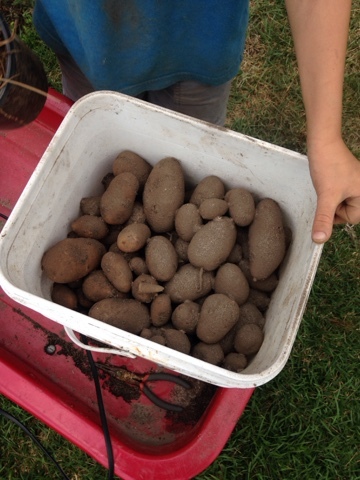 When friends visit our garden, so many are surprised that potatoes grow underground. Harvesting them is a lot of fun. 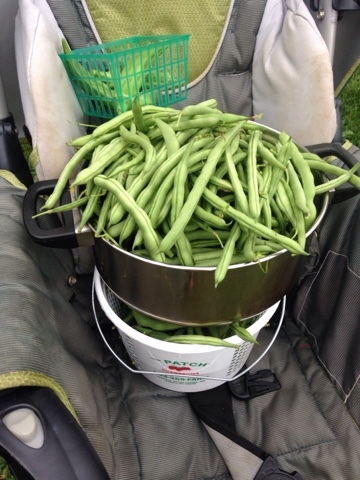 I picked enough green beans for a good supper batch. 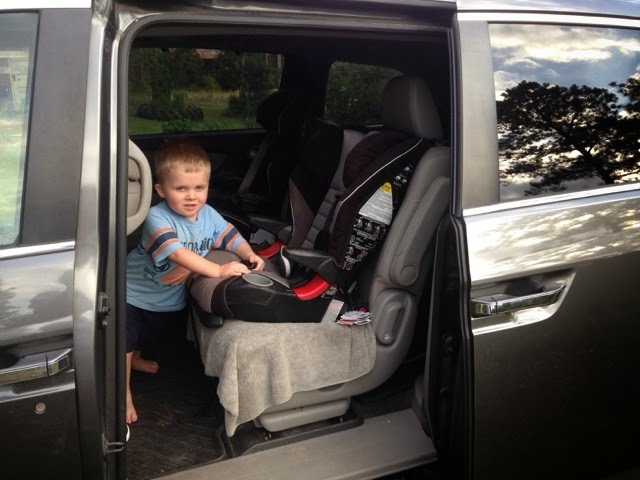 And thanks to Ashley parking us in the garden tonight (we went out for supper), Tyler got to enjoy playing in the van. Today's picking was a rainbow...raspberries, carrots, squash, zucchini, purple beans (will turn green when cooked) and blackberries. 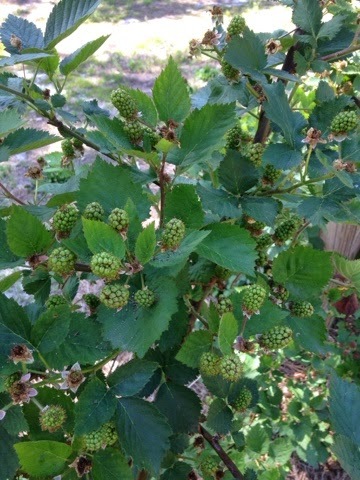 If only the blueberries would hurry up and ripen, we truly would have a rainbow! 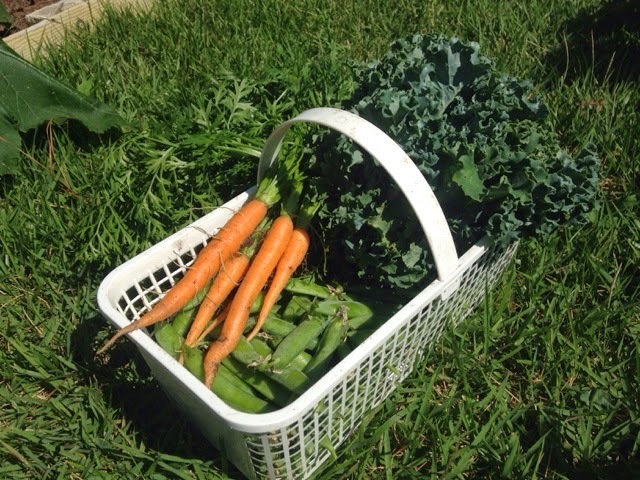 Yesterday the boys and I harvested peas, carrots and kale. What a delicious basket of garden goodies! 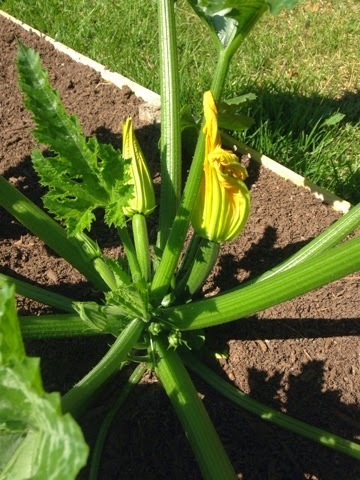 I picked a zucchini on Saturday. 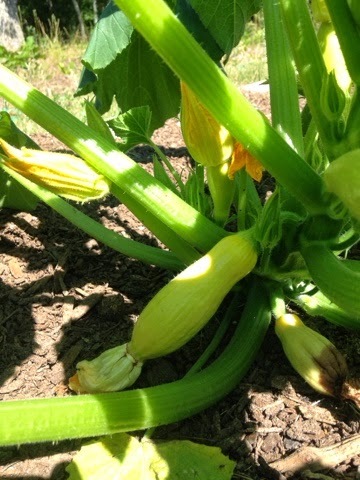 The yellow squash are almost ready, too. 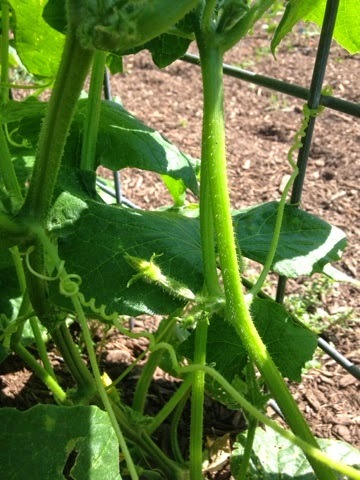 Ooo and look close- baby cucumbers are forming! 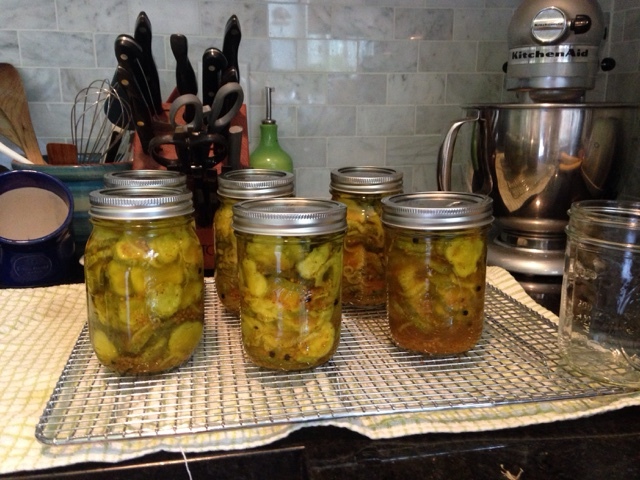 I'm hoping for a better crop this year - last year we didn't get enough to make pickles. 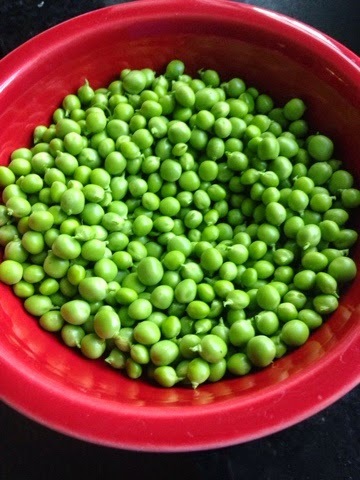 The peas shelled and ready for steaming (or eating raw- which my boys prefer). Although we do have four seasons in South Carolina, our fall and spring typically gives way to the less enjoyable temperatures of winter and summer quicker than most of us prefer. This spring has held on longer and we've had several really nice weeks of warm temps, low humidity and clear blue skies. It's been perfect. Saturday I captured what was probably the last of this glorious weather. Enjoy the May tour of Okra Hill! 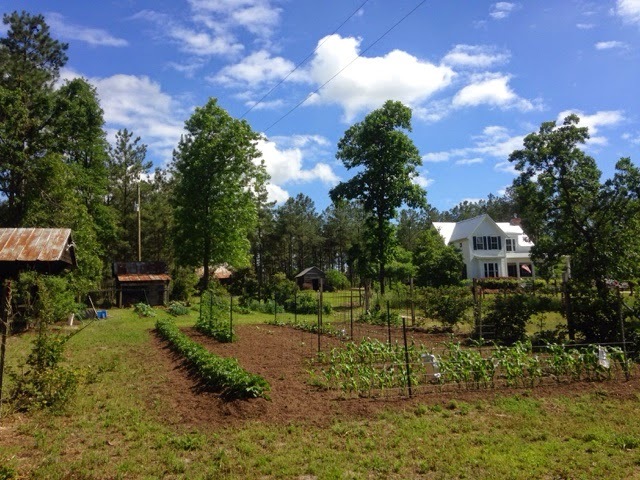 Our summer garden is planted and growing. Ashley attached a few pans in the corn to keep the crows from plucking out the replacements he replanted a few weeks ago. 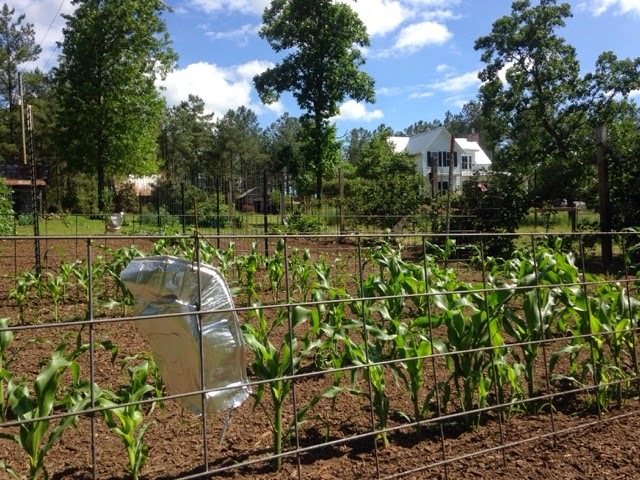 We typically don't put fencing around our corn- this is keep our puppies from tearing through the corn while chasing their best friend, our neighbor's lab. 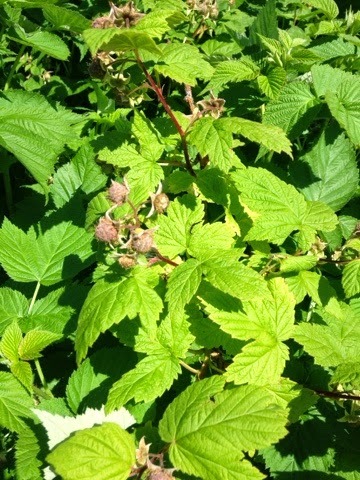 The blackberry vines are FULL. 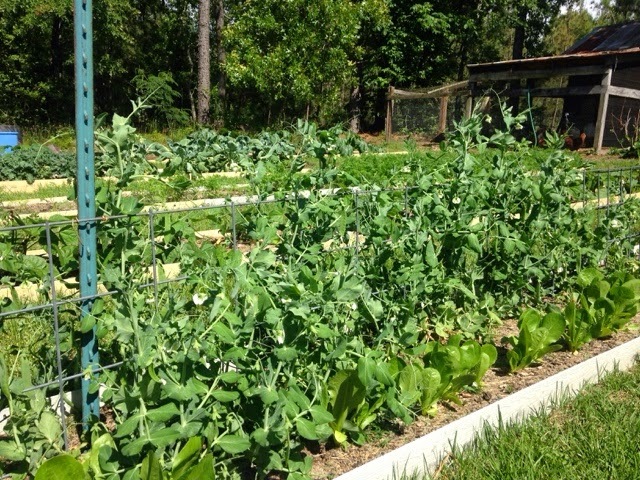 Our favorite spring crop continues to be green peas. These didn't come up as well as before but we'll still have plenty to enjoy. 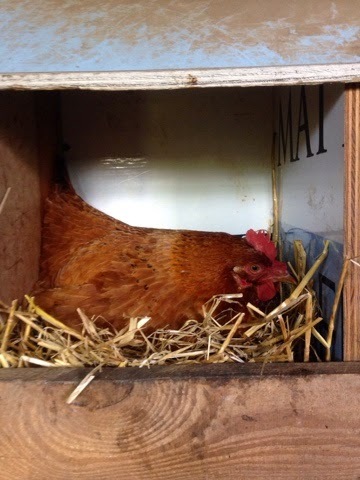 Our flock of 16 hens continues to be great producers, laying 12-15 eggs most days. 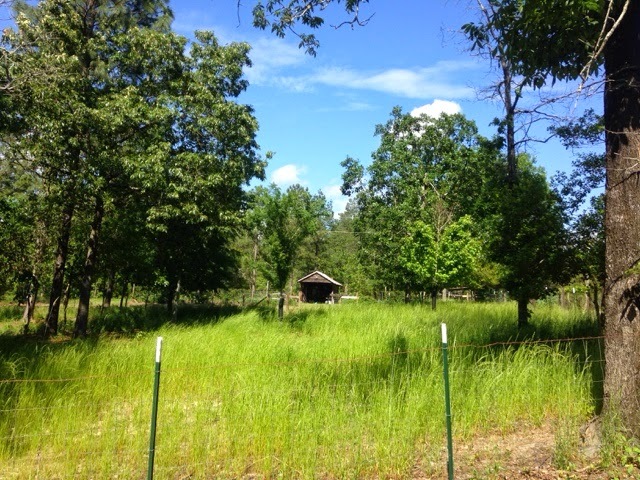 Our pig/goat field is covered in waist-high rye grass right now. The pigs really did a number on the ground with their intense rooting. 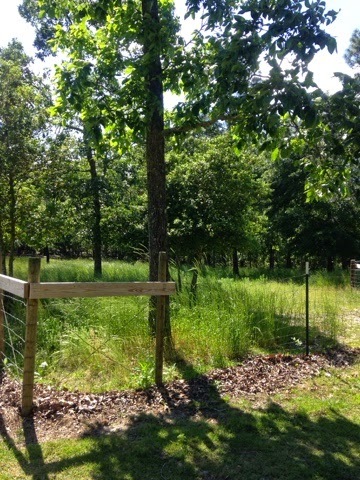 We haven't decided what livestock we will take on this summer- maybe just a single pig (and we'll keep it in the back lot to let this area rest). 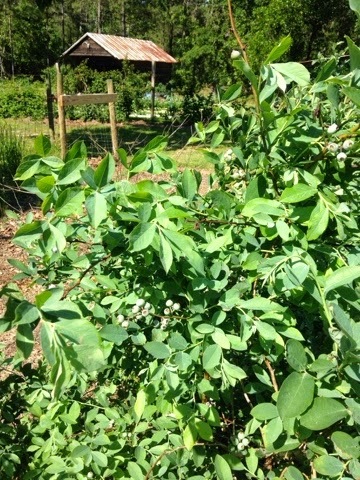 The blueberry bushes are loaded with green berries, waiting to ripen. 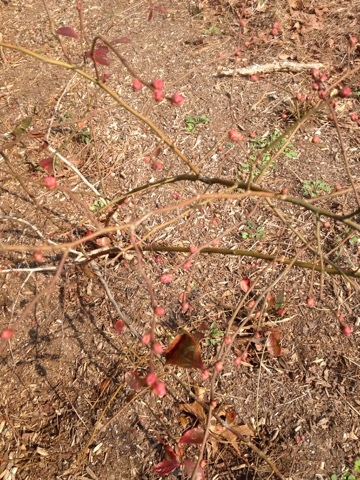 Our muscadine grapevines are healthy after a good late-winter pruning. 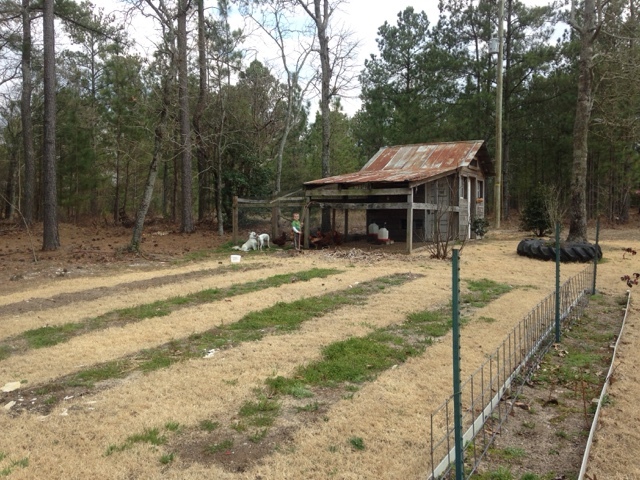 Here's another view looking across the pig field over to the garden barn. Ashley and I love the look of the grass. So peaceful! And of course, these guys have been growing along, too. It's hard to believe they're (almost) 3, 5, and (almost)7. Every day I thank God for blessing us with such a beautiful place to raise these boys. Happy May, y'all!